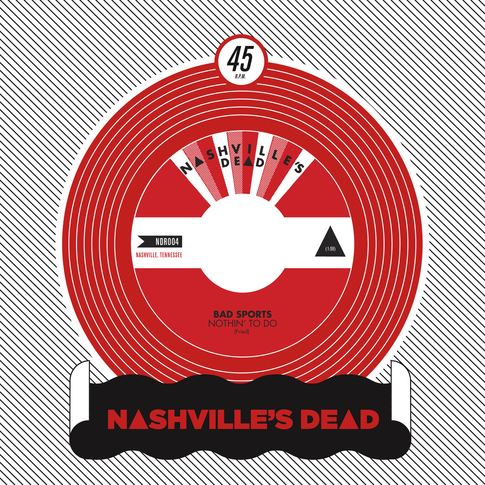 Well, it’s technically our first non-Nashville release, but given that they were the first and last band to ever play at Glenn Danzig’s House — we think they have a part inside the heart of Nashville. Our fourth single to come out this year is a 2-song ripper from our favorite Texas boys, Bad Sports. Their new record just came out courtesy of Dirtnap, but you won’t find either of these songs on it. You can pick it up now from our webstore, but you might want to do it quick. We only pressed 300 and we’re all ready about a third of the way through them [When they rolled through Nashville a couple weeks ago we went ahead and sold some] Act quick! And get stoked. We’ll be announcing NDR-005 in the next week or so. It’s from a brand new band that we’re obsessed with.